1. Do karaoke in Mauerpark. Every Sunday afternoon, the stone amphitheatre in Mauerpark gets packed with a hefty crowd looking to belt out some tunes. Bearpit Karaoke has become a local institution in Berlin since it started in 2009, so you may have to wait a couple hours just for your song to come. Thankfully, you can suntan and have a beer (in Germany, it’s legal to drink alcohol in public) leading up to the big moment. 2. Shop at flea markets. Mauerpark is also a perfect location on Sundays for browsing through antiques, second-hand clothing and art at the flea market. While this is one of Berlin’s bigger set-ups, there are countless others throughout the city. For convenience’s sake, try the nearby Arkonaplatz. The booths here are known for carrying vintage furniture and clothing in top condition. 3. Go to an “illegal” open air party. 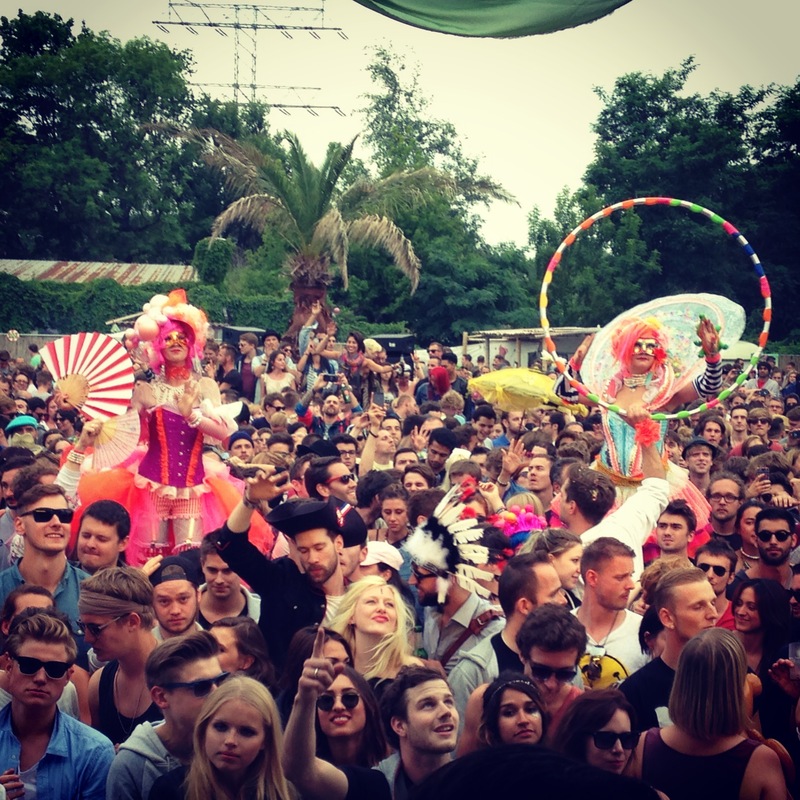 Open air parties started in Berlin in the ’90s, and since then it’s become an integral part of the city’s party culture. These unofficial and unlicensed parties take place in everywhere from parks to between train tracks, and passed on only through word of mouth. Organizers often bring sound systems to blast techno music, and that’s why the parties are often shut down by the police. Check out the Facebook group Open Airs in Berlin for more details. Many of the bigger nightclubs (Sisyphos, Wilde Renate and Suicide Circus) have also created their own outdoor spaces to recreate the spirit of open air. 4. Check out an abandoned place. During the summer, there’s always viel los (lots going on) on the streets. But what about heading somewhere that’s, in comparison, eerily quiet? Berlin is known for its many abandoned and ruined places in and around the city. The Spreepark is a famous abandoned amusement park, the climatic ending location of the 2011 movie Hanna. Abandoned Berlin is a blog that tracks prime locations, providing tips to aspiring urban explorers. 5. Make a picnic in the park. Did you know that there are more than 2,500 public parks and gardens in Berlin? The possibilities are endless, from grilling to rollerblading and kicking around a soccer ball. While Görlitzer Park and Mauerpark are the most centrally located, Tempelhofer Freiheit Park offers the most open space. The former airfield also has a breathtaking empty runway that’s two-kilometres long – it’s just something incredible to see. 6. Eat at Thai Park. 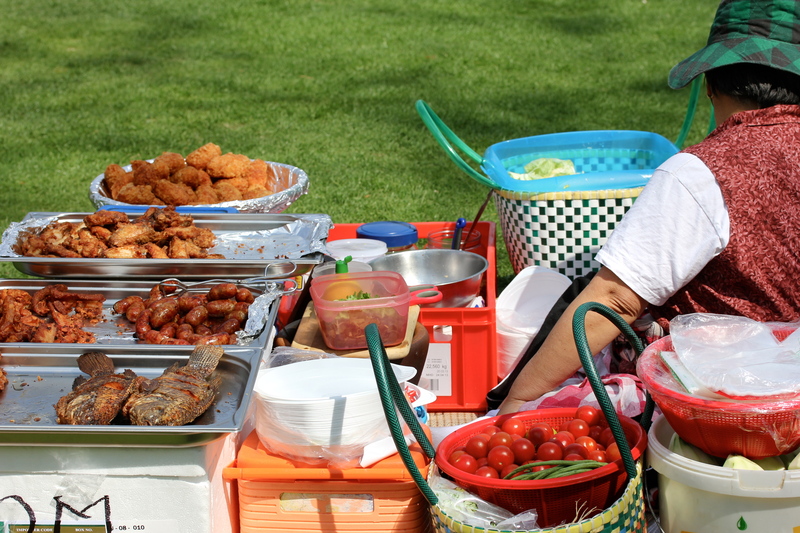 In Preußenpark in the Charlottenburg-Wilmersdorf area, Berlin’s local Thai community has started its own weekend street food fair on picnic blankets and paper plates. The food is authentically Southeast Asian, ranging from pad thai to satay with peanut sauce and soups. You can get snacks for as little as one Euro, and the Thai massages aren’t so bad either. 7. Have dinner/drinks on the Spree. The Spree, the river that flows through Berlin and up into the Czech Republic, makes for a very mystical scene during the summer. Get a table at one of the riverside patio restaurants, such as Nettes Restaurant an der Spree, FluxBau or Rio Grande. If partying is more your fancy, there are also many bars and nightclubs with a fantastic Spreeblick (river view): Club der Visionaere is the undoubtedly the most famous. 8. Go to outdoor food markets. An empty stomach is mandatory at one of the city’s many food markets. One of the most popular is the Maybachufer Turkish Market in Neukölln every Tuesday and Friday from 11:00 am to 6:30 pm. There’s fresh produce and meat, homemade cheeses and Turkish specialties ranging from breads to delectable dips and pastes. Towards the afternoon, there’s live music ranging from Jamaican jams to spoken word at the far end of the market. 9. Get away to the lake. 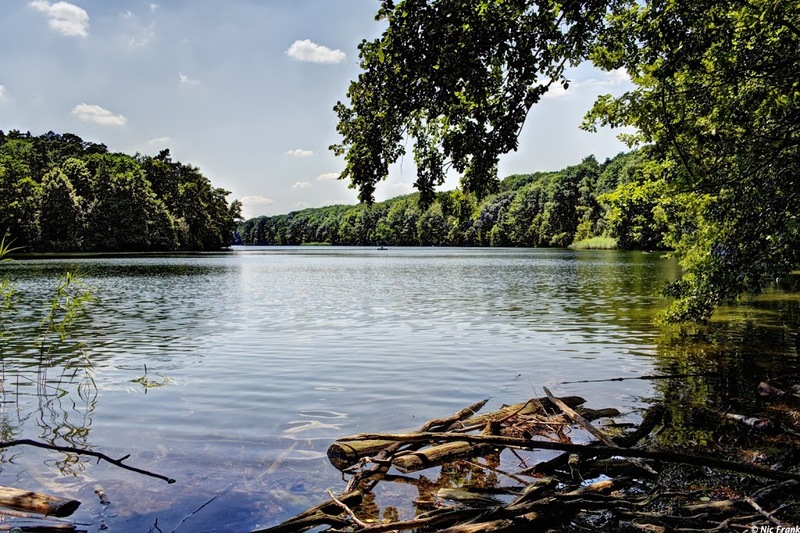 It’s as little as 30 minutes by train to one of the many nearby bodies of water, like Tegeler See and Schlachtensee. You can rent a rowboat, go hiking or make your own picnic by the water’s edge. 10. Take a bike tour. We’ve all done the token tourist “walking tour”, but this is something totally different. Finding Berlin, Berlin on Bike and Fat Tire Bike Tours organize a journey through the city on two wheels. You can see the nooks and crannies of Berlin’s most interesting and historical neighbourhoods, for example Kreuzberg (once a part of East Germany) on the seat of a vintage fixed-gear bike. The post The Number Ten: Things to do in Berlin During Summer appeared first on tentree.